In light of the viral challenge, here's a throwback of some of our favourite celebrity couples. In light of the 10 Year Challenge that's been going viral, here's a throwback of some of our favourite celebrity couples. While most #10yearchallenge photos show dramatic transformations and glow-ups, we love that these are a display of the bond and strength of the couples' marriages. Okay, so they aren't all a decade apart (some were even taken twenty-odd years ago!) but hey, who's counting? 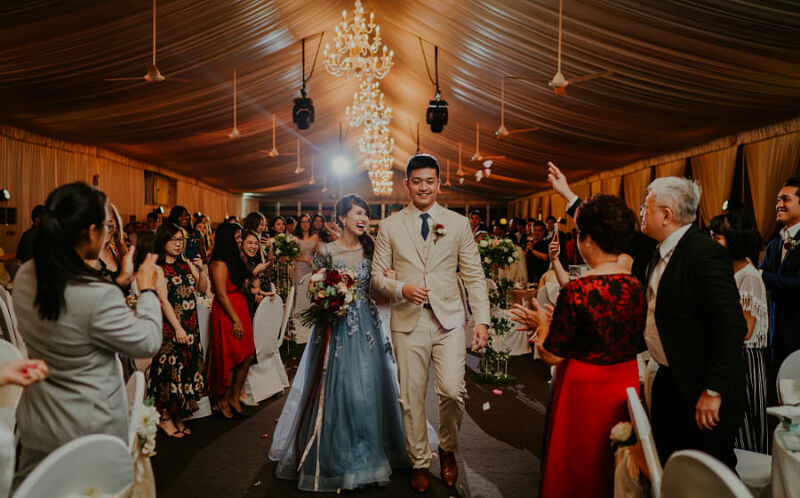 Cheryl Wee and Roy Fong might have only gotten hitched less than 2 years ago but the pair have known each other since their university days. She shares more about their love story, here. And one of them a decade ago. And yes Chrissy is asking the same question everyone's asking - How does John Legend look exactly the same?! The pair who first met on the set of The Last Song finally got hitched after nearly ten years with an intimate wedding surrounded by friends and family. Who can forget Fann and Christopher's iconic roles as Xiao Long Nu and Yang Guo in The Return of the Condor Heroes? And here they are in December 2018. The happily married couple have a son, Zed. This power couple, who pledged their vows nearly 26 years ago, are the epitome of #marriagegoals and never cease to inspire us with their love for each other. Make that a 20 Year Challenge for this gorgeous pair. Here's a throwback of James Lye and Diana Ser on the cover of local mag iWeekly in 1999! First couple to grace the cover of @iweeklymag in 1999! End of an era and the start of a brilliant one 在线上继续绽放光彩! The Avengers actor and his wife, who's also an actress, first met in 1998 and the two tied the knot in 2000. They have three children. Happy 15th Anniversary, my dearest sweetheart. May you never stop laughing, may you continue living life to the fullest and may you never EVER have to worry about anything! I love you and wanna thank you for always having my back! Their blissful marriage turned 15 last October. The secret? "You have to both want it to be a long and successful marriage, and even learn from other people’s mistakes. I think you have to accept you’re both individuals who are constantly growing and changing, and who have different reactions and emotions," Pierre told Young Parents in an interview. Feb wedding for Justin and Hailey!